Participants from Putnam County Mentoring Day 2017. 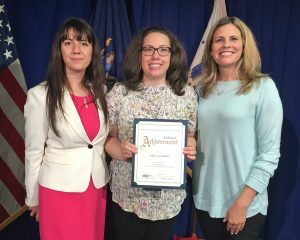 CAREERS Support Solutions once again coordinated with Westchester and Putnam County governments to give students and adults with disabilities a chance to work at a job that interests them. Mentoring Day 2017, held May 18th in Putnam County and May 24th in Westchester, paired mentors from County Departments with individuals interested in learning what it takes to be successfully employed. 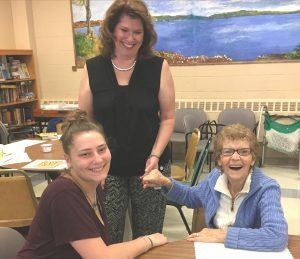 In Westchester County, participants from CAREERS, New Rochelle High School, WARC, Keon Center and WJCS were matched with volunteer County mentors, based on their interests. In Putnam County, students from Carmel and Brewster High Schools, as well as PARC clients got a chance to see how the County operates. 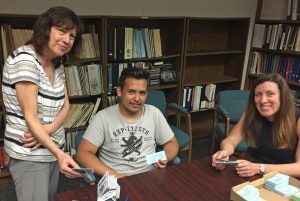 Participants in both counties worked side by side with mentors for several hours learning computer, organizational and administrative skills, customer service and maintenance, as well as visiting and learning about many county facilities. Olha Fizer from DSS thanks Marissa Killiam for her help during Mentoring Day. Also pictured is Marissa’s CAREERS Employment Specialist Karen Holubis. 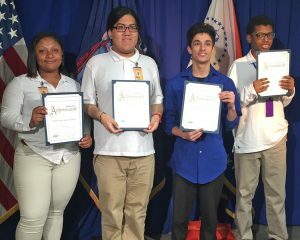 New Rochelle students Tianna Ricketts, Lukas Guzman, Chris Lorello and Malik Younger received certificates for their participation in Mentoring Day. 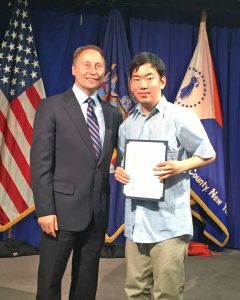 Michael Parks receives a certificate from County Executive Astorino for his volunteer service in the Department of Social Services on Mentoring Day. Senior Resources once again hosted a Carmel High Student to help with the Departments many programs. Carmel High student Len F. got a behind the scenes look at the Department of Transportation, including the new additions to the fleet of buses. 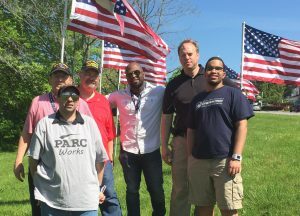 The Putnam County Veterans Service Agency teamed up with the IT Department to host interns from CAREERS, PARC and Brewster High School. Together they tagged over 300 flags lining Lake Gleneida for the summer holidays!